The Rifle & The Writer will be live at Sawdust City Brewing Co. May 17th from 8:00 – 11:00 pm. 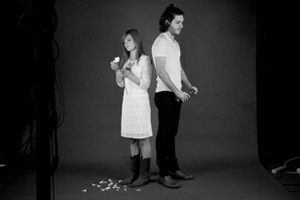 The Rifle & The Writer are a Canadian Country music duo comprised of siblings Rebekka Paige and Colby Latocha who formed in 2015. For complete event details please follow the link provided.